One page overview showcasing travel's impact on America, filled with facts and statistics about leisure, business and international travel. 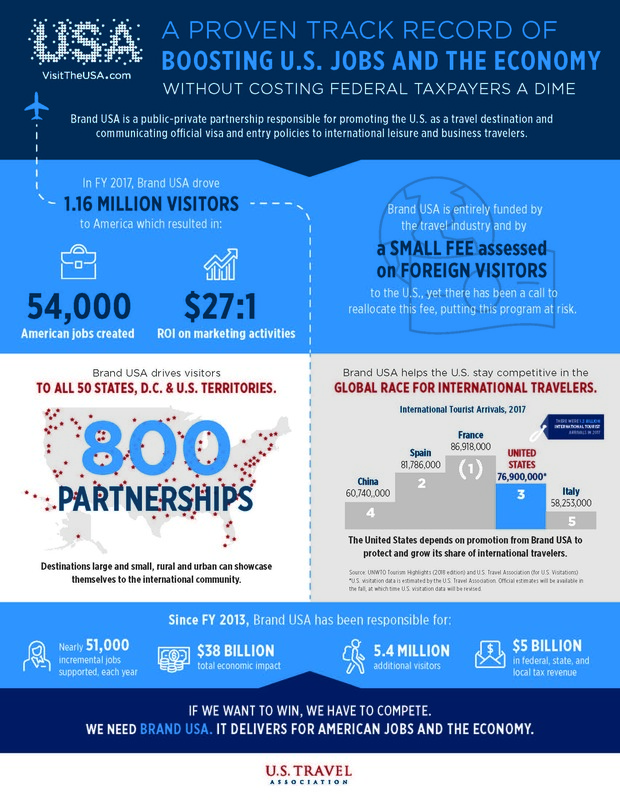 Brand USA is a public-private partnership responsible for promoting the U.S. as a travel destination and communicating official visa and entry policies to international leisure and business travelers. Expanding the Visa Waiver Program will strengthen security, grow our economy, create American jobs and improve our relationship with trusted allies.